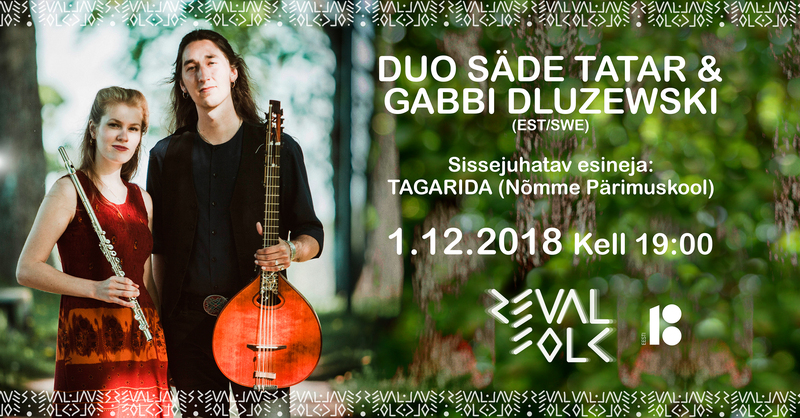 Before the peaceful time of Christmas, on the 1st of December at 19:00, there will be a performance by flute-player Säde Tatar from Estonia and mandola player Gabbi Dluzewski; an Estonian-Swedish duo from Viljandi. They are known from a band called “Fränder” who tours the world. Säde and Gabbi will be introduced by the players from Nõmme Folk-Club led by bedazzling Marika Moks. The afterprogramme will be led by a reknown singing woman and storyteller Õie Sarv and her daughter Maarja Sarv. are available on Ticketer and cost less in presales! There are special offers with families with children and early birds. 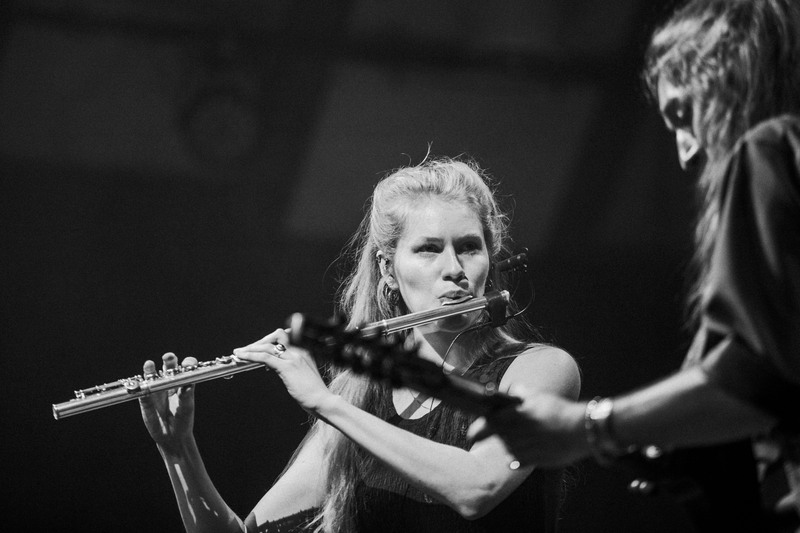 Säde and Gabbi will take us on a journey, which talks about the joys of tradition and creation, the search for self and finding it, and about the life of a travelling musician. The inner-burning of the duo gets its power from understanding each-others music, which manifests itself with dynamic co-playing, where different worlds and sounds melt together. We’ll be hearing traditional music from Sweden and Estonia, and creations of Säde and Gabbi. In addition, our pre-Christmas performers invite all to a workshop on traditional Swedish music. After the concert everyone is welcome to participate in a circle of songs and stories by a reknown songwoman Õie Sarv and her daughter Maarja Sarv. The doors of Vanalinna Muusikamaja open for chatting with friends at 18:00. Cafe Koloniaal will be lifting our spirits before the concert and during the break with tasty food, coffee and tea. Children can rest their ears with teacher Oliver Kõrre on the second floor of Vanalinna Muusikamaja. During this season, we only use reusable dishes in the cafe. Those who come with their own cup, can purchase the friends-of-Reval Folk ticket during all of our concerts. During our autumn concerts only acoustic tunes will be performed for your ears. 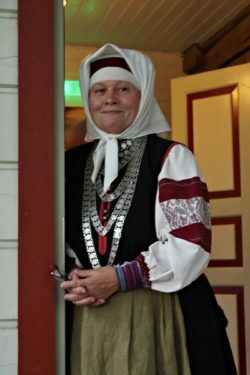 Säde Tatar is from Viljandi-county, Kolga Jaani. As she is the only musician from her family, the choice is not an obvious one. 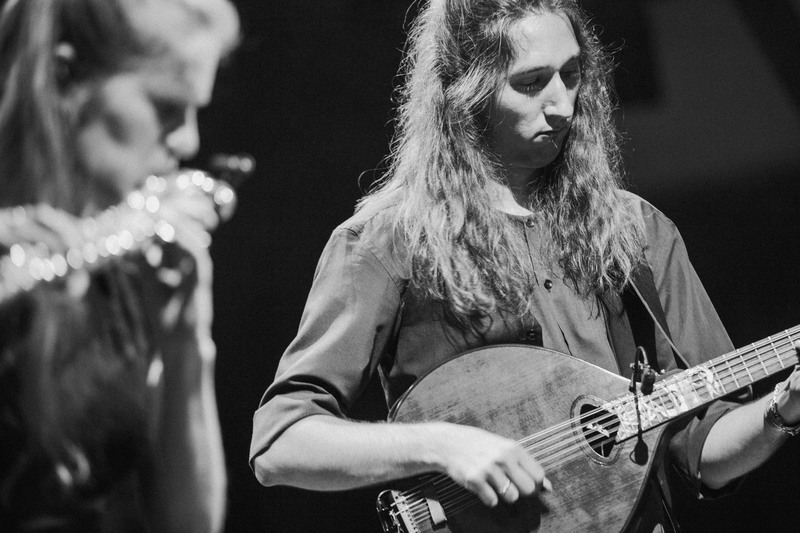 In being a musician, Säde finds the diversity and limitlessness most engaging. In music, there is no right or wrong, there is only the gut-feeling to which one can rely. Säde has played classical flute and has engaged herself in both Estonian and Swedish traditional music, where one does not exclude the other but enriches it. So her flute-playing and tone has been shaped into something entirely her own – lively and strong. Säde has studied at the Viljandi Culture Academy and in different schools in Sweden – including the Royal Swedish Academy of Music. Gabbi Dluzewski is from Uppsala (Sweden) with roots in Poland. At the young age of 1 and a half years old nothing could keep him from guitars and good music (like The Beatles, Jethro Tull, Gentle Giant, etc.) For as long as he can remember, he has always known that he would one day be a musician. Though up to 20 years old everything led him to rock music, then one day he was introduced to traditional music and fell in love with it. Now Gabbi combines those worlds and doesn’t hesitate to play traditional mandoline. Gabbi has learned jazz, rock and traditional music around Sweden, including the Royal Swedish Academy of Music. season, Tagarida has come together. It all started when the mothers and friends and families of children who play the Estonian Harp wanted to learn that instrument too. The band grew out of a short introductory course, and first performed in the last row behind the children. From this comes their name: Tagarida (The Backrow). Two years later Ukuleles joined in. 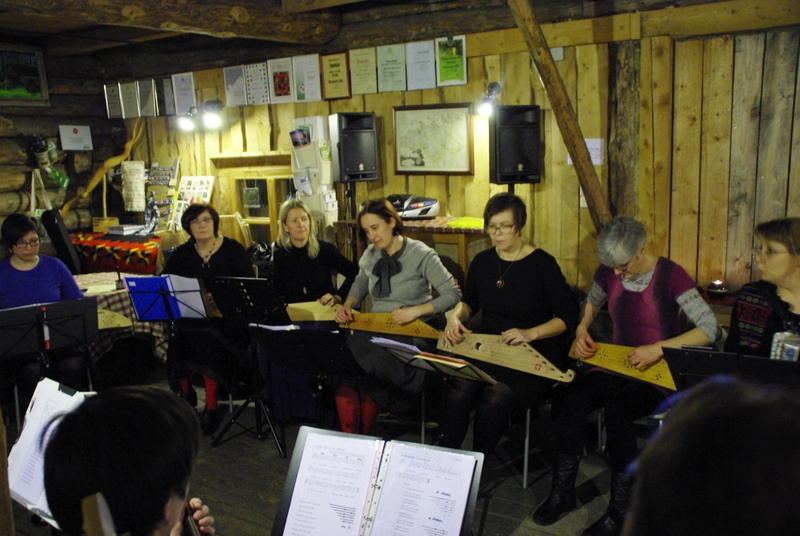 Our repertoire brings the sounds of the ukulele, estonian harp and traditional music together. The leader is Marika Moks, who is educated as a music-and choir teacher, who year by year grew fond of traditional music and instruments. Õie and Maarja. The musical duo of pleasant memories, a mother and daughter who may right now have different musical perspectives, but once they get together they form their duo again. In a space where one can stay silent, sing, dance, cry and laugh, be a little sad and remember, and then leave, to come back some other time. During the after-concert programme we will look back and remember those who have touched our lives and the time we have spent with them. On the 1st of December we will gather and form a circle with anyone who wishes to take part. One can bring back their beloved songs and tunes, and tell the story behind them, or anything that they might wish. 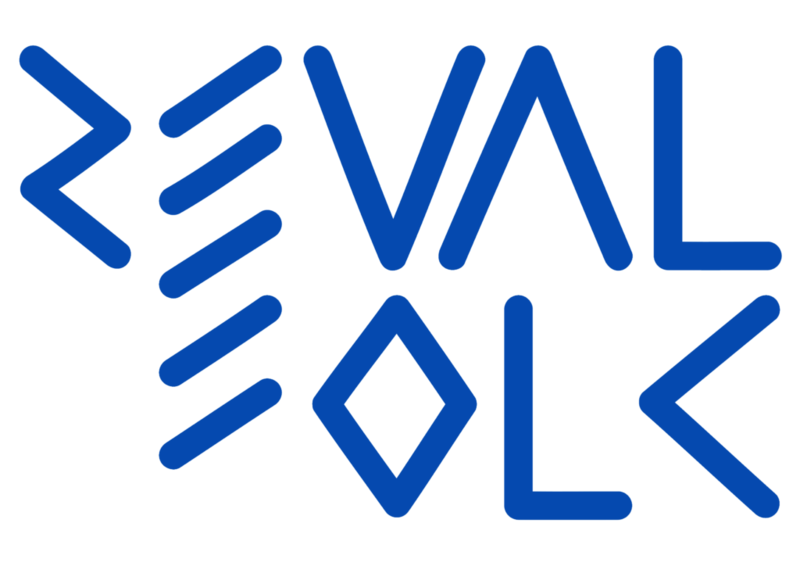 Reval Folk is a civic initiative that began in cooperation with NGO Reval Folk and the folk music department of the Tallinn-based Estonian Academy of Music and Theatre. Our aim is to offer people in busy Tallinn the chance to reconnect with their roots through regular folk music concerts (that offer both traditional music and music inspired by traditional music) and workshops. Our second biggest aim is to inspire young people to study folk music on a professional level in the Estonian Academy of Music and Theatre. This project is supported by: The Ministry of Internal Affairs and the National Foundation for Civic Society, Estonian Cultural Endowment, Estonian Academy of Music and Theatre, Tallinn city, NGO Fenno-Ugria, Dipri Printouse, Veebimajutus.ee, café “Koloniaal”, Bioneer.ee, Tallinn in Your Pocket, Tallink, The Finnish Institute of Estonia, The Estonian Institute in Finland, Tuglas Society, Hotel St. Barbara. Partners: Estonian Academy of Music and Theatre, Old Town Music House, EV100, Estonian Folklore Council, The Union of Estonian Music Teachers, NGO Fenno-Ugria, Estonian Kannel Union, The Folk Dance Club of Tallinn, Tallinn City, NGO Fenno-Ugria, Ticketer.ee, Tallinn city, Klassikaraadio.